NBC took its 12 consecutive week as the top network, but only place 5 shows in the top 10. CBS had a rare week by placing 3 shows in the top 10 and taking the #2 spot. 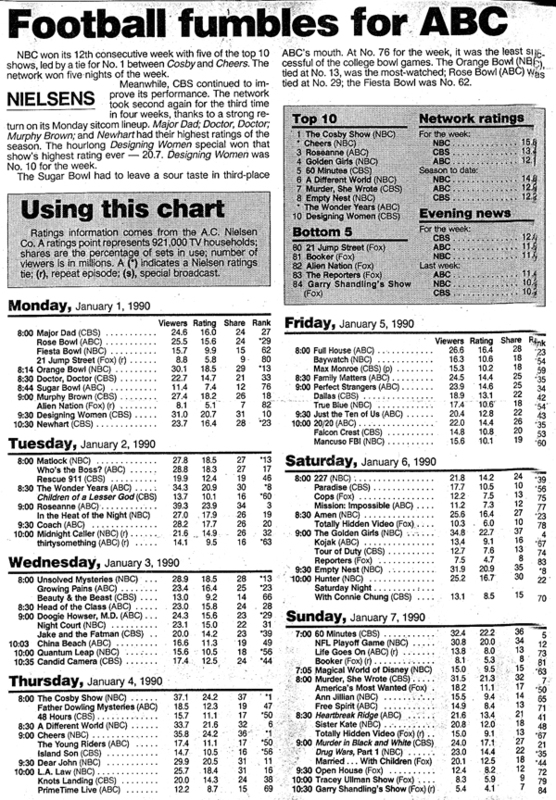 The Cosby Show too the top Comedy Honors (#1), 60 Minutes took the top News Show (#5), Murder She Wrote wat the highest rated Drama (#7) and Murder in Black and White (#21) was the top Movie.